Get ready to travel 208 ft in the air and then plunge in a 116° vertical free-fall into an underground tunnel. The ride also features a 140 ft tall inverted loop and water feature. Riders travel up to 70 mph over 2,735 feet and through 3 inversions. 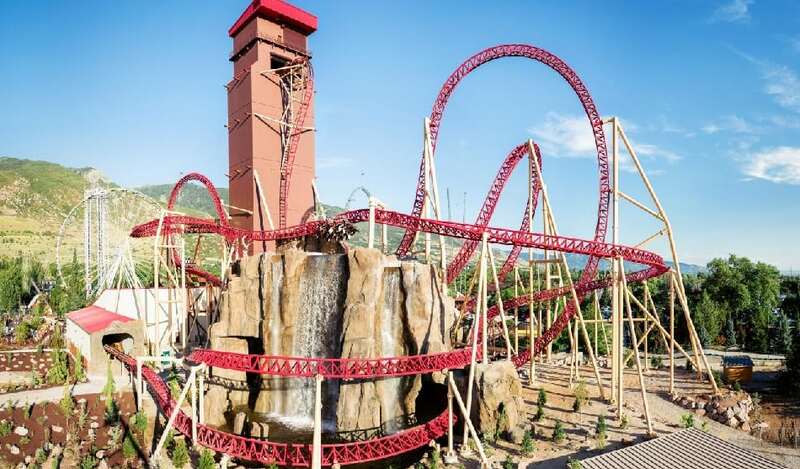 This custom mega-coaster offers a unique ride.